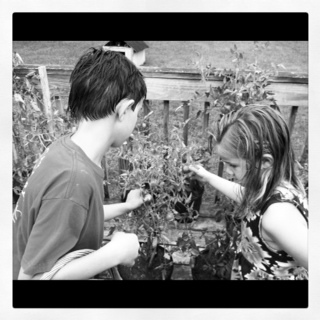 I love it when my grandchildren notice something in my garden. The tomatoes are easiest to spot and know they mean something good. 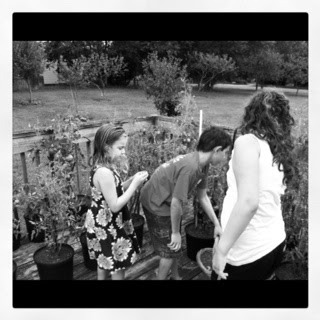 I am excited to have my grandchildren learn with me each year about growing a garden. I am so happy that we grew up Italian American.....however, it is sad because as my nephew and young cousins grow up today, their Italian culture is lost in modern day 21st century America.....the America where it is more important for digital communications than Sunday lunch with your extended family. LIsa, great comment, I totally agree.. it can be a challenge as so many of our traditions seem to fade. Italian Mama Chef sounds so beautiful.. as I know my mother loves when the kids notice anything..they make the world go round. Thank you for commenting! Hopefully we don't lose pride in growing and producing food for ourselves because it really does allow us to appreciate our cuisine. I remember how valuable the time I spent with my grandfather in his garden was to me - it's important to pass these things on to future generations. I lost my dad about 4 years ago and I miss his garden and the "goodie" delivery every year, but most of all I miss the tomatoes he grew. Yesterday at the Farmer's Market, I found an Italian gentleman selling tomatoes, so I bought some. I've bought them before from other vendors, but When I made my tomato salad that night, the flavor of it not only brought me back, but it brought tears to my eyes. I don't know what it is about Italians and they're tomatoes, they seem to have that special touch when growing them. Sono Magnifico! love this post! It is so very important to teach our children about our Italian culture and to show appreciation for Nonna and Nonno and what we can learn from them.